Lahore School Idol was a talent hunt to find Lahore School’s best singing talent, the “music superstar”. The Idol had two categories, solo singers and bands. The show was a four day event; 3 days for the auditions and the “grand finale” in the end. The participants took great interest in the auditions; around 63 solo singers and 12 bands participated in the auditions. The Grand Finale was judged by well-known artists from our music industry Atif Aslam, Hassaan Khalid of EP and Haroon Shahid. The judges shortlisted 14 solo artist and 6 bands for the grand finale. The crowd on the final was much more than our expectation, the Garden Café was jam packed with more than 1000 students. The Lahore School Idol team worked beyond their capacity to make this event a great sensation. The students enjoyed each performance and cheered the participants with their support. Raesham Naqvi (solo) and Tamashbeen (band) became the Lahore School Idols 2009 (Season I). Atif Aslam stole the show with amazing live performance. Lahore School Idol was a gear opportunity for new upcoming talent to show their music skills. The show was greatly appreciated by everyone; it was surely an event to remember. 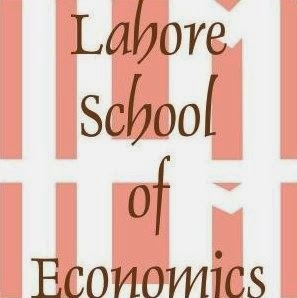 The Lahore School of Economics Photographic Society (LSEPS) organized a photography workshop for students in the SBS Library on the 20th of September. Mr. Rizwan Ghias was invited to conduct the workshop. Mr Rizwan Ghias is a highly acclaimed professional photographer. He has experience in many fields of photography including photojournalism, landscape, commercial, fashion, and sports photography. His photos have been published in more than 80 countries worldwide and he is the only freelance polo photographer of Pakistan. Mr Ghias also has the honor of covering the Beijing Olympics in 2008. It was an informal session in which Mr Ghias talked the essence of photography, his life’s experiences and motivated students to consider learning more about the field and use it as a medium to represent this country’s identity and culture worldwide. Professor Sajjad Naseer, a senior fellow at the Lahore School of Economics delivered a lecture on Geo Political Determinants of Pakistan in a seminar held at Naval War College, on September 7, 2009.